The tennis & basketball courts are located on the east side of the clubhouse. 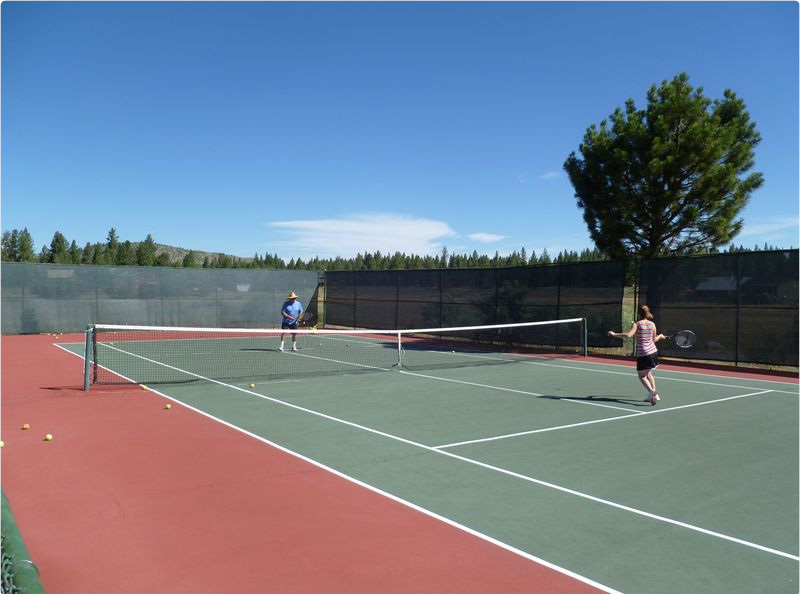 There are two tennis courts, one with the half court basketball.Tennis lessons are available for juniors and workshops are available for adults throughout the summer season. The courts are windscreen enclosed with a practice backboard. The courts are available on a first come first serve basis.